Felicity Defined: Oh, the Joys of a Good Wine! Oh, the joys of a good wine! I may be no wine connoisseur, but I sure know what I like and Huber's Orchard, Winery & Vineyards' Blackberry wine is now up there as one of my favs! I stopped at a local liquor store the other night to grab a bottle of wine, and as I perused the local wine section I stumbled upon this gem. 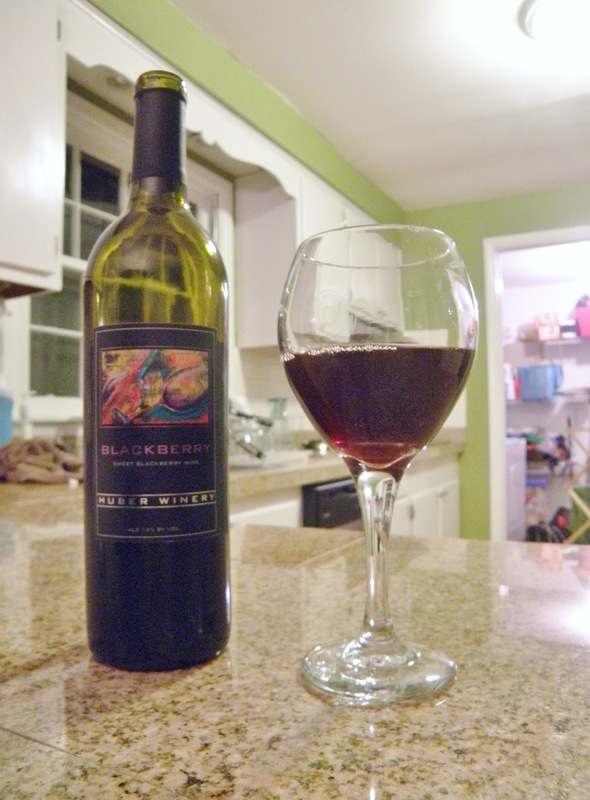 It was the only wine option they carried that was produced by this company out of Borden, IN and I tend to like Blackberry wines, so I gave it a shot and ... yum-o! I found out it is also carried at Kroger. I was interested to learn a bit more about this winery and it's southern Indiana location so I jumped on their website and found out they have been making wine since 1843. Pretty impressive - check out their site for more info http://www.huberwinery.com/. I think I just might put this winery on my list of places to go next time I happen to be traveling south. Thanks for following me! I hope you enjoy the posts! I have been thinking about doing this for a while and decided to finally take the plunge!